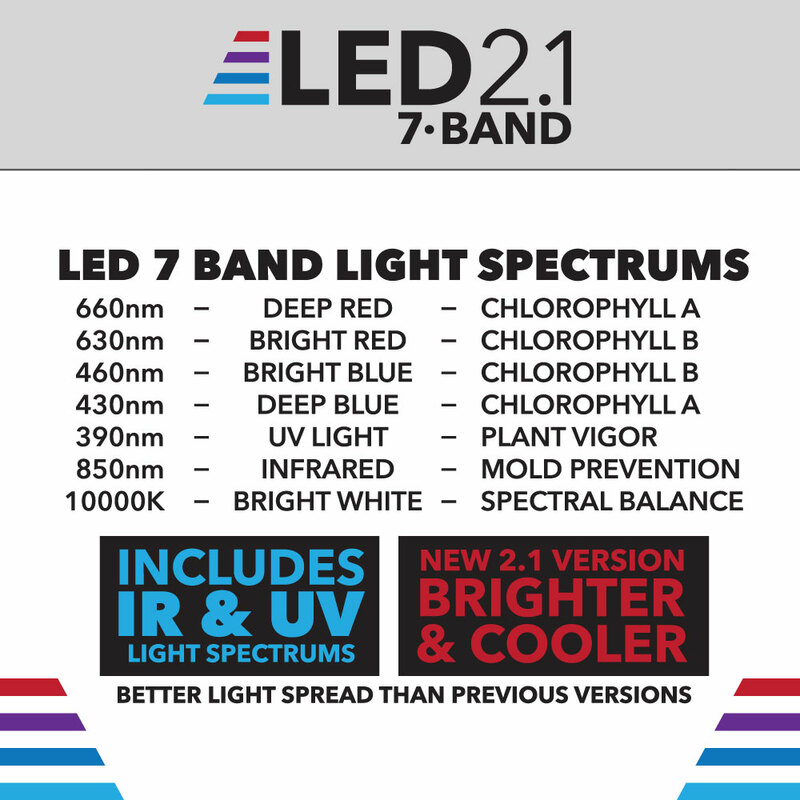 Now better than ever in every way, the 7 Band 2.1 is here! 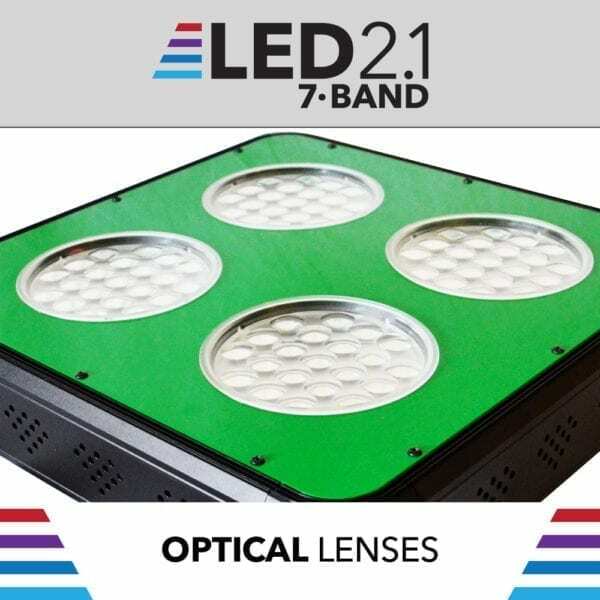 Featuring innovative optical LED lenses and more powerful LED chips to deliver maximum light output! 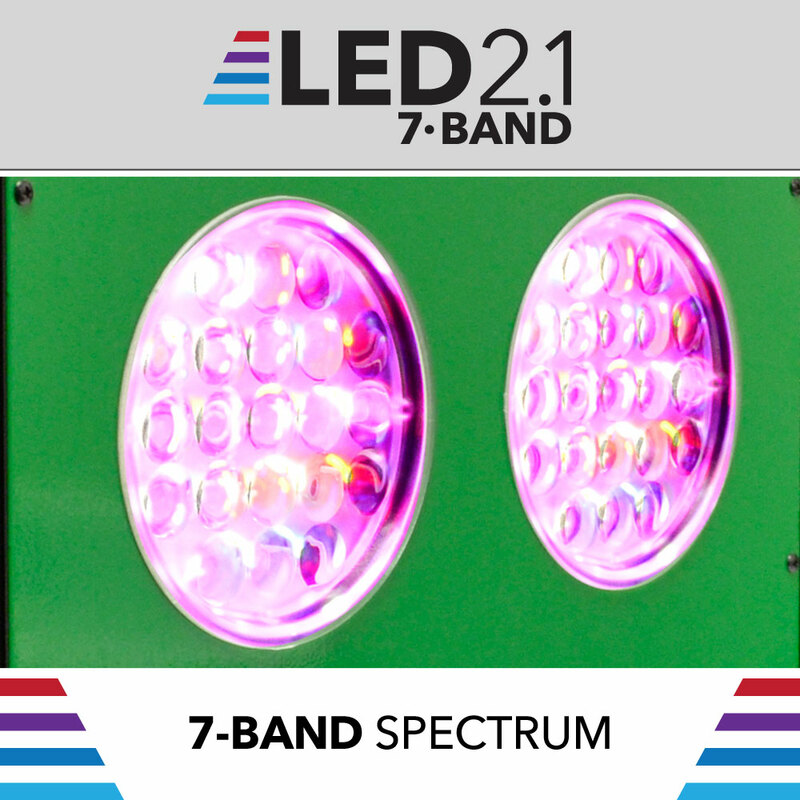 Outperform ordinary LED Grow Lights, 7 Band 2.1 are brighter, cooler and better. 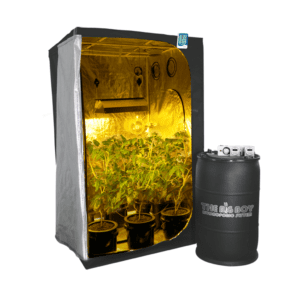 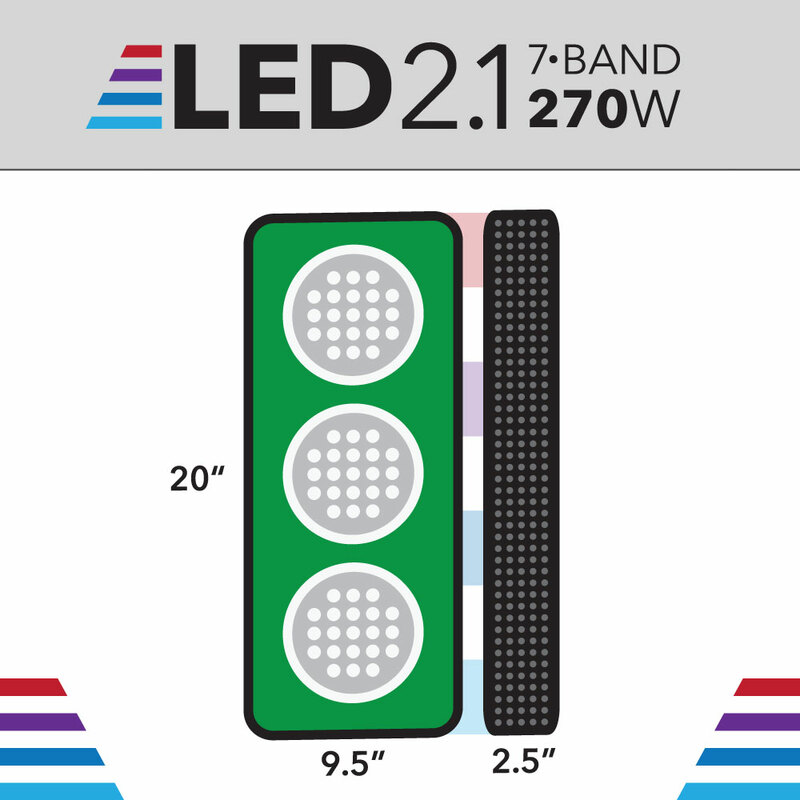 Using only more costly high-quality components the 7 Band 2.1 delivers; higher output, a wider spectrum, superior efficiency, and minimal heat output for more growing power and bigger yields! 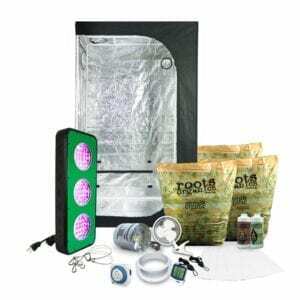 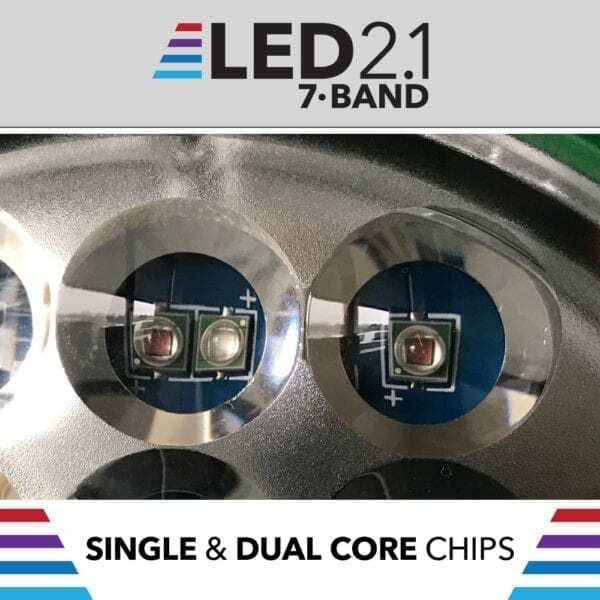 BRIGHTER / HIGHER OUTPUT – Cooler running LEDs perform better! 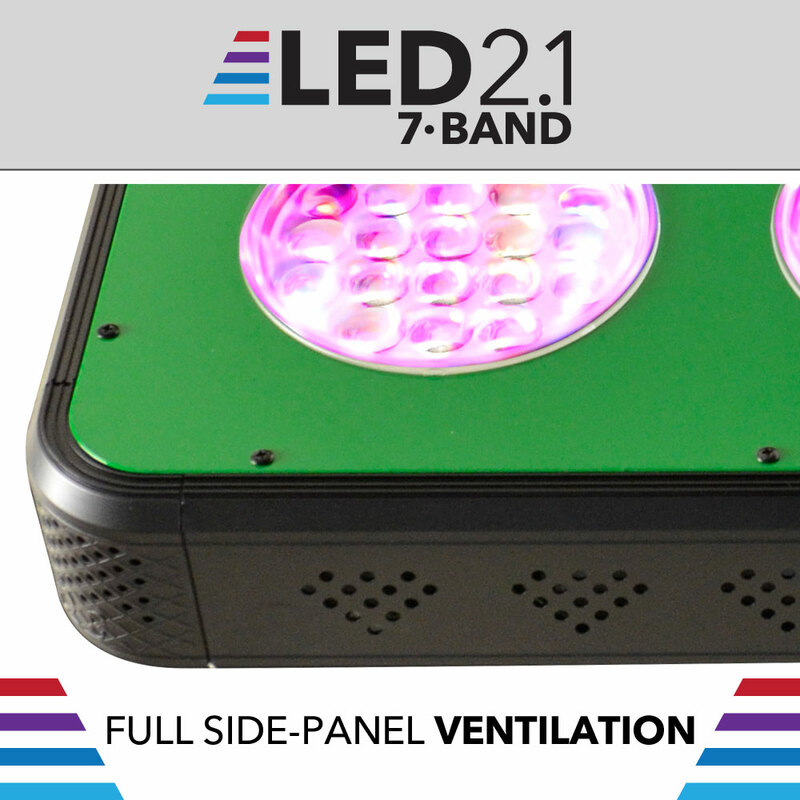 With high-quality heat sinks and efficient-whisper quiet cooling fans, the new 7 band 2.1 LED Grow Light runs cooler than ever. 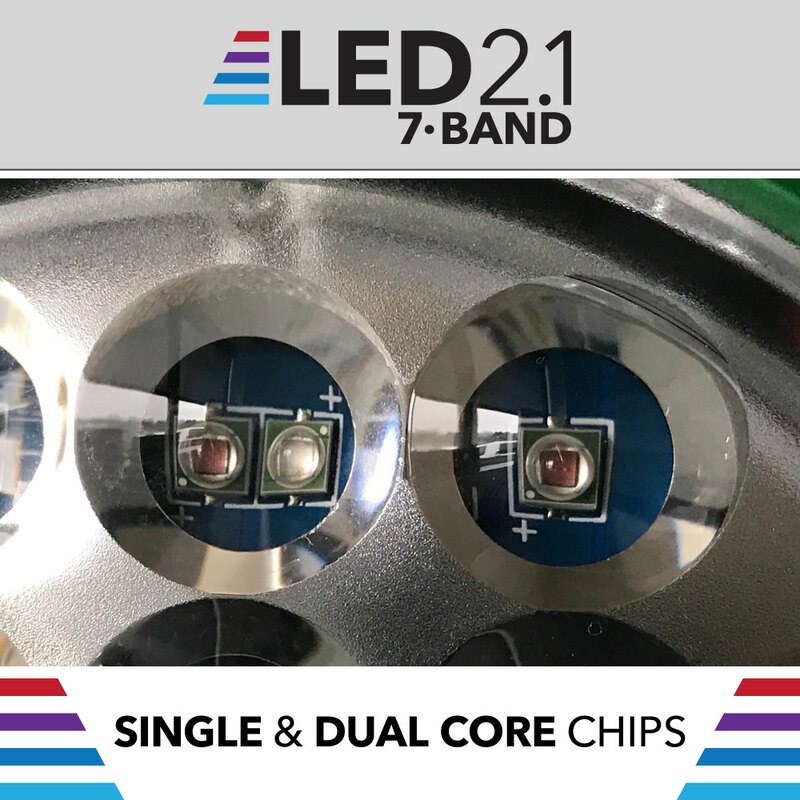 This not only makes a brighter LED but a cooler LED also lasts longer, which is why this unit is backed by a 2-year warranty. While the new 7 Band 2.1 features top quality construction and components, it is also expertly designed with modular component assembly allowing for quick and easy part replacement should any problems ever arise. LED EFFICIENCY – The 7 Band 2.1 LED Grow Light allows for big harvests while using less energy and producing less heat compared to standard Fluorescent and High Intensity Discharge (HID) grow lighting technology. 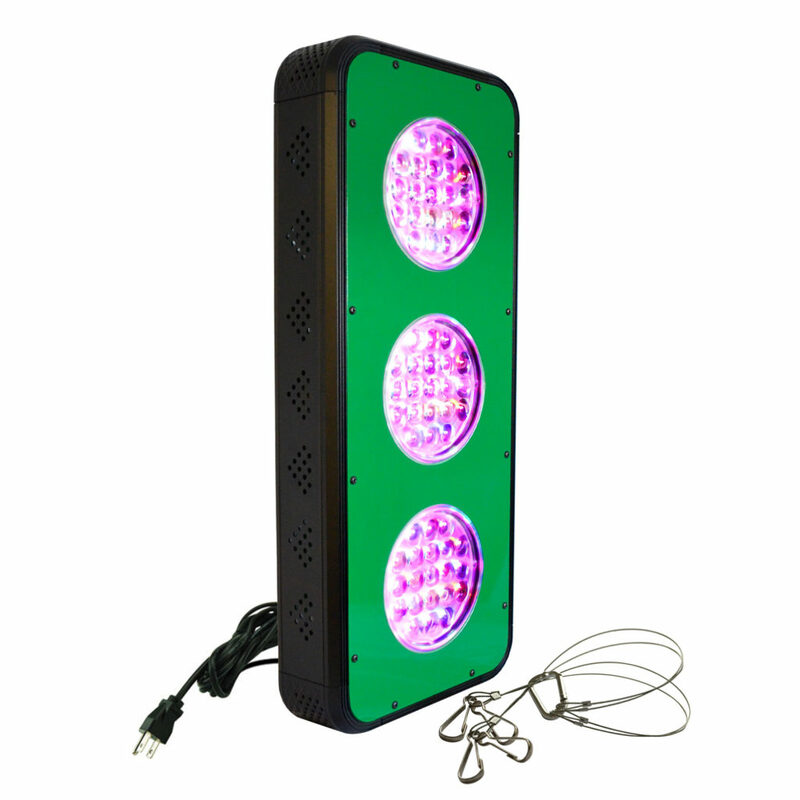 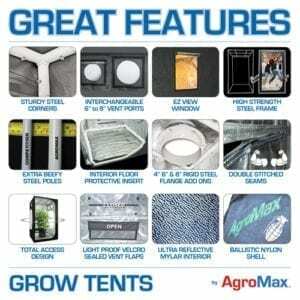 The light spectrums on the 7-BAND 2.1 LED are custom tailored for plant growth! 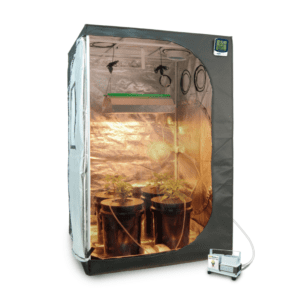 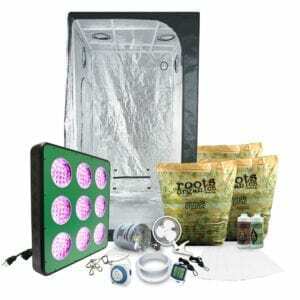 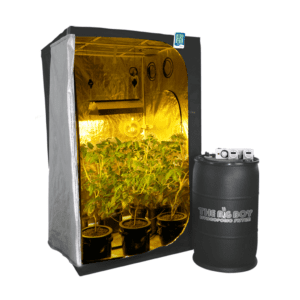 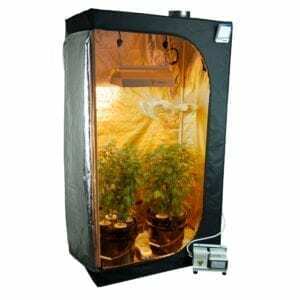 LOW HEAT – The 7-BAND LED emits much less heat than traditional grow light sources (floro, HID, etc.) 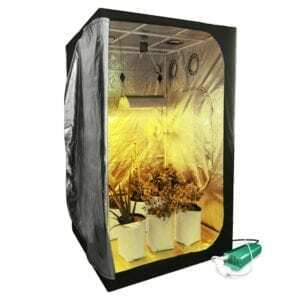 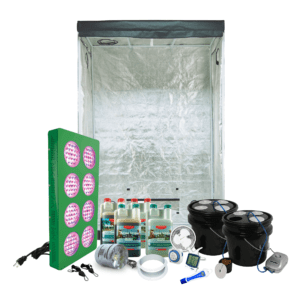 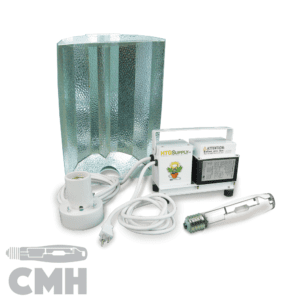 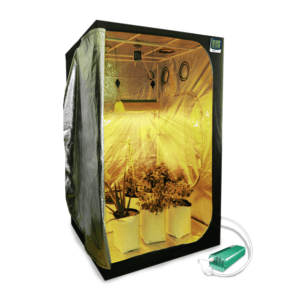 creating a much more efficient and manageable indoor garden.